What is that tune…? Been stuck in my head since yesterday…. Oh… Right… Of course. I knew it all the time. 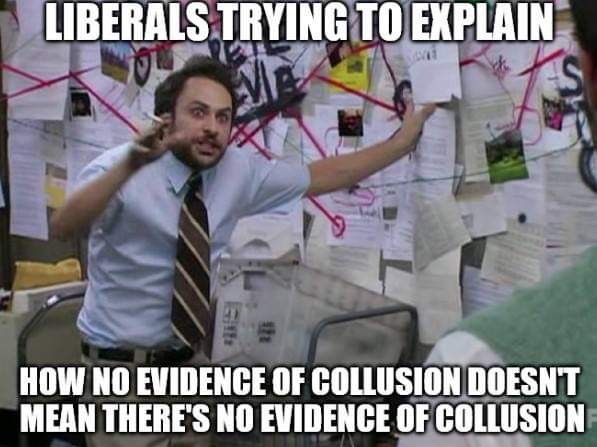 It’s the “Ain’t Got No Collusion Blues”… Catchy tune. It’s sort of hard to hear what with the wailing and rending about that loser Mueller and the coverup by AG Barr. IS there other news…? Yeah, of course, but who cares.